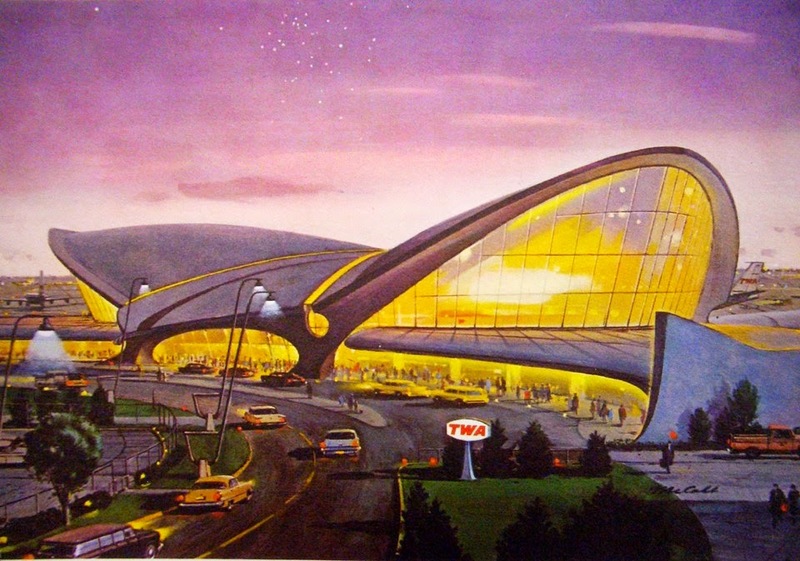 Eero Saarinen's early '60s TWA terminal at Idlewild. I've been nostalgic for the spirit that was everywhere in the mid-20th century, the idea that the future was going to be a wonderful place. The optimism. The certainty of a brighter tomorrow. The future we got is a lot different. Our life today --yesterday's future-- does have things wonderful and amazing. 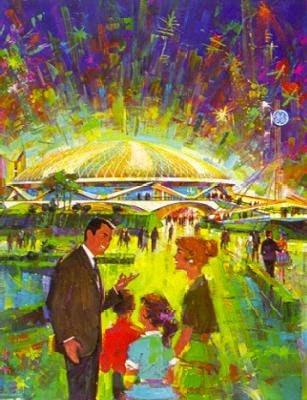 But in many ways it is totally unlike what we thought during those great celebrations of the future, the 1962 and 1964 World's Fairs. (I am 61 years old. I attended both fairs as a boy of 9 and 11.) Why? The study of emerging technology is all about the future. What's going to happen? When? If you're thinking about it from a business standpoint, you add the element of "what opportunities and threats does the future hold?" "I can't wait to live in the future!" certainty of a brighter tomorrow. Figuring out answers to those questions is an art. I think we can apply some process and analytical thinking to the art, and think about ways to be better at looking ahead. Maybe predicting can't be a science, but I think (and will argue) that there are ways to structure the art and make it more like a science. One of the best ways to do that is to look back at those glory days of future-optimism, to find the patterns in what they got right and wrong. That's why I say "the future is a dog wagged by the tail of the past." And what if a really good prediction about the future can help shape it? I think there's a case for that as well, and will explore it. So that's what's coming up. Next story: a future vision from the '60s that got an amazing number of things right.